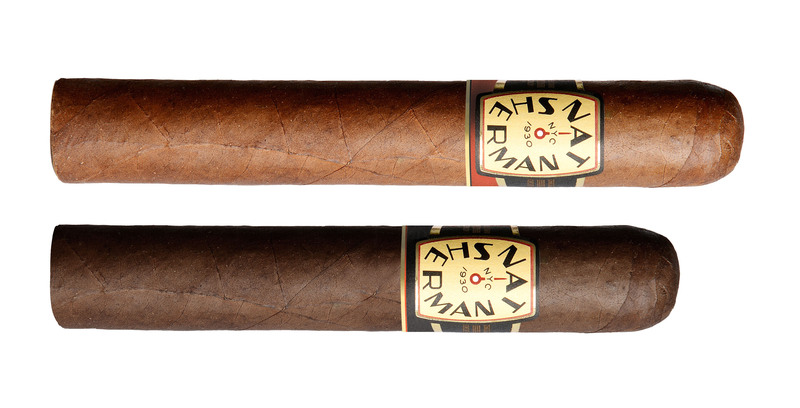 Nat Sherman has unveiled new secondary bands for both of its blends under its Timeless Collection line. The Timeless Collection has two distinct blends from two different countries. The Timeless Collection Dominican is a Dominican-made multi-national blend while the Timeless Collection Nicaragua is a Nicaraguan-made Nicaragua puro. Up until this point both cigars had the same iconic Nat Sherman clock logo band. Now Nat Sherman has added a secondary band to the clock logo band to make it easier for consumers to identify the cigars. The Dominican made Timeless Collection will receive a red band while the Nicaraguan made Timeless Collection will receive a black one. The blends and sizes are remaining the same. The Dominican made Timeless Collection will still be made at Quesada Cigars and will continue to feature a Honduran wrapper, a Dominican binder, and a combination of Dominican and Nicaraguan fillers. Meanwhile the Nicaraguan made Timeless Collection will still be made at Placencia Cigars and will continue to be an all-Nicaraguan puro in a box-pressed format. The new bands have already begun to roll out to retailers nationwide.